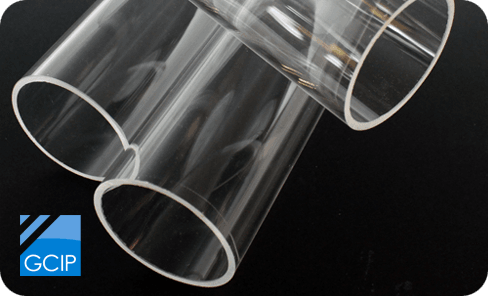 Extruded acrylic tube provides an economical alternative to the higher quality finish of cast acrylic tube, but is limited to a maximum diameter of 300mm due to the requirement of a volume manufacturing run. Cast acrylic tube provides a highly polished, display quality optical finish. Cast acrylic tube is manufactured in lower volumes allowing for outside diameters of up to 650mm+.